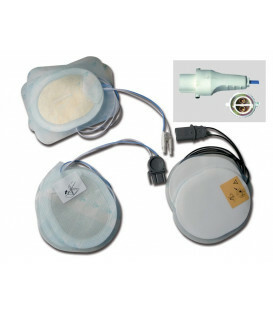 Complete with battery, pair adult electrodes and semi-rigid bag. 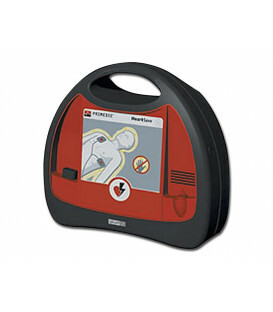 Philips HeartStart HS1 designed thinking of the ordinary people who are faced with an extraordinary event. 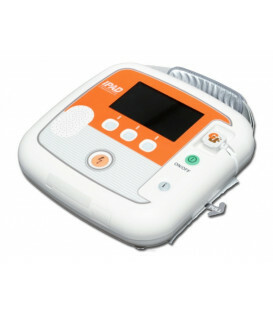 It is the first defibrillator authorized for use without a prescription in the United States, designed to be as simple as possible to use and more reliable, so simple to use that could allow anyone to strive to save a life. 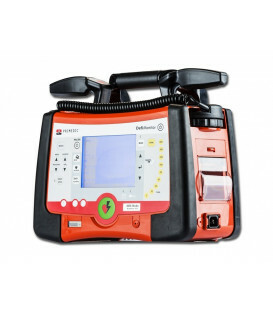 With a weight of only 1.5 kg, this small and lightweight defibrillator can be easily carried to the patient's side. 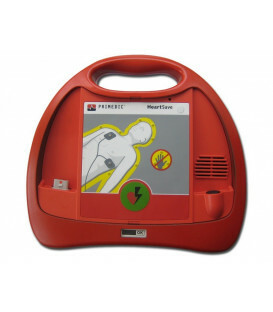 Clear voice instructions through the HeartStart HS1 guide the rescuer through the steps of defibrillation and CPR. 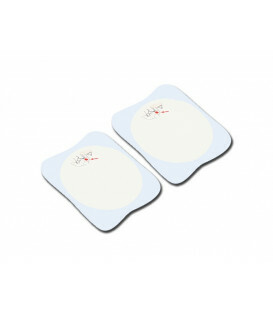 The SMART Pads integrated, applied to the victim's bare skin transmit information to the defibrillator, which carries out surveys and guide the actions the user step by step. 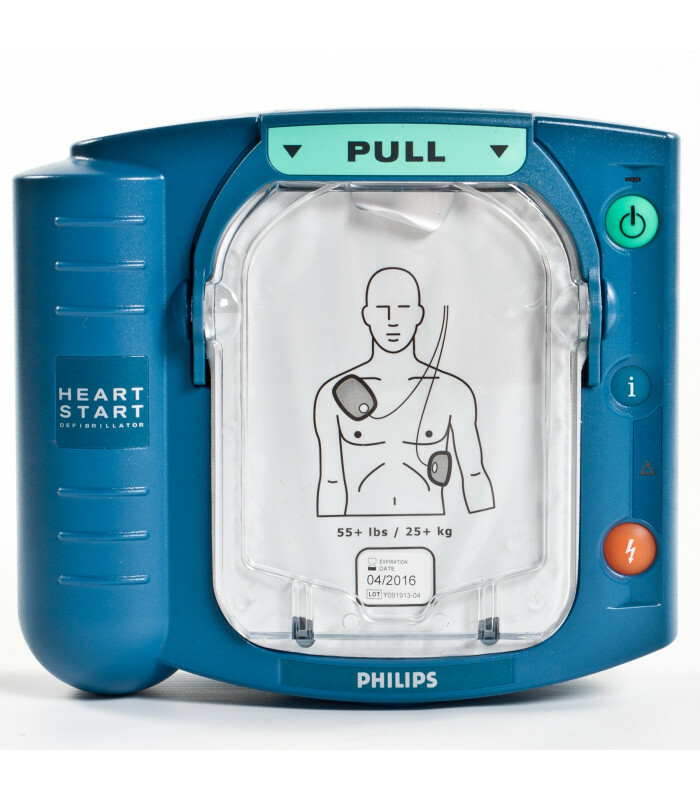 Philips HeartStart HS1 includes consolidated technology for heart rhythm assessment (SMART Analysis) and defibrillation energy delivery (SMART Biphasic). 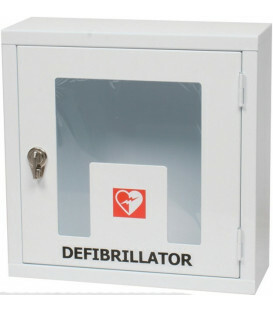 In addition, similar to all HeartStart defibrillators, may be used to treat children and adults. 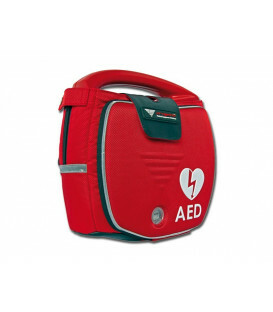 Ease of Use: An essential design and clear voice instructions, including cardiopulmonary resuscitation, instill the confidence to treat a victim of cardiac arrest. 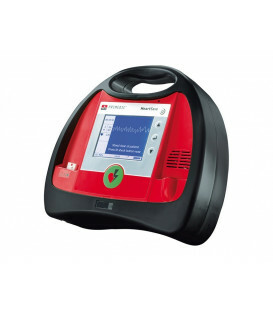 Use the HeartStart HS1 is simple. 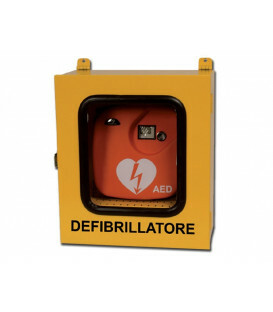 Pulling the green handle, it turns on the defibrillator and activates voice instructions. 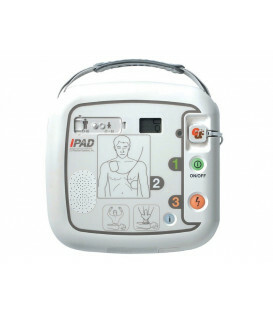 These instructions have been adjusted according to user actions and guide it through the process, from the placement of each electrode on the patient when the defibrillation shock. 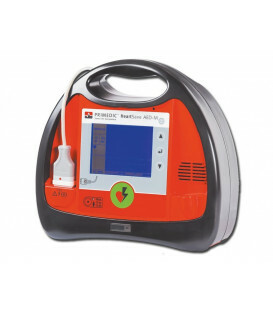 Effective: The SMART Analysis heart rhythm assessment and SMART Biphasic defibrillation therapy are patented, proven, clinically proven in nearly 10 years of use. 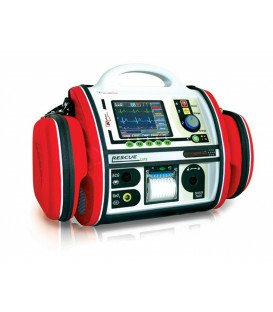 No other external defibrillation therapy is so widely supported by a large number of published clinical trials. 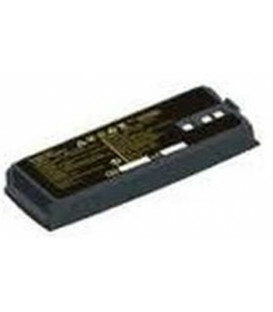 Always ready: The HeartStart HS1 is powered by a long-life battery, which lasts five years on stock and 4 years from date of installation. 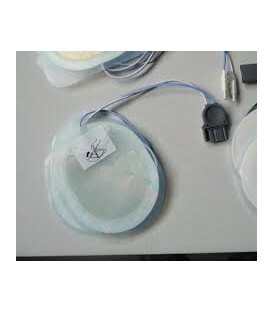 Automatic self-test daily guarantee perfect efficiency of the appliance. The green light flashes to indicate clearly that the HeartStart HS1 has passed its last self-test and is ready for use. 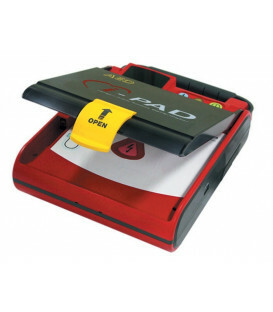 Complete with 1 battery, 1 adult SMART Pads Couple and semi-rigid bag.